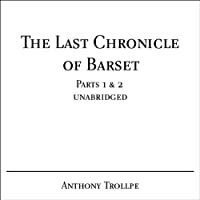 We don't have a description for The Last Chronicle of Barset, but if you head over to Amazon they'll be able to tell you what this book is about! Trollope is wonderful!!!!!!!! He takes 700 pages to tell a 100-page story and the reader (me!) loves every word! !